If you need a last-last-last-minute gift, some toothpaste, or just to get away from the family for a few minutes on Christmas, there are a few stores that will be open Christmas day itself. Domino's, Dunkin Donuts and Burger King are opening select locations. For more information, check out a summary of personal finance site GoBankingRates.com's survey of retailers. After 20 years, Vinnie's Grill & Raw Bar has closed up shop at its South Boulevard location. Former general manager David Luckey said the restaurant's last day of business was Sunday. The closure is permanent, he confirmed. He said the general economic conditions had caused Vinnie's to struggle. "This economy makes everybody broke," said Luckey, who was helping to clean out the restaurant Thursday afternoon. There are no plans to close the second Vinnie's location in Mooresville, which remains open, Luckey said. 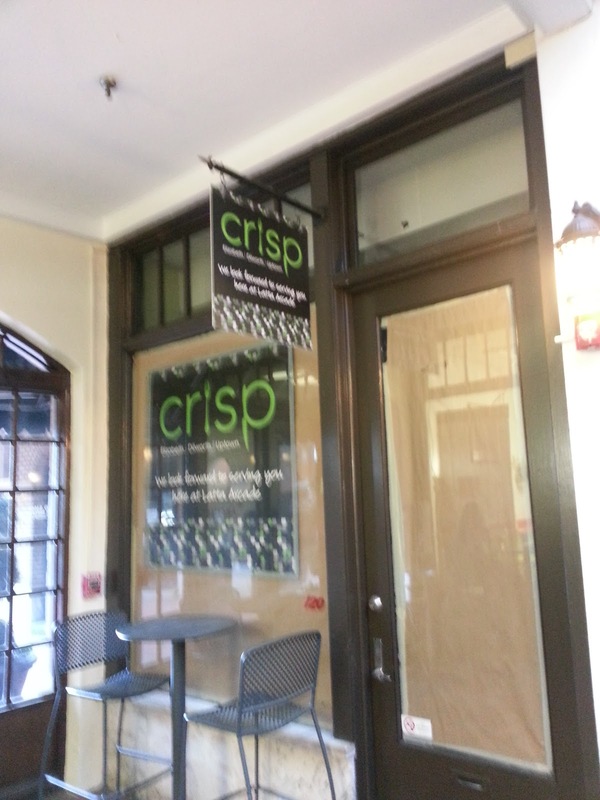 Crisp, a restaurant with a plethora of salads, is opening an uptown location soon, in Latta Arcade off of Tryon Street. It will be the company's third Charlotte store. There are Crisp locations on 7th Street and East Boulevard. The owners couldn't immediately be reached to pin down an opening date for the Latta Arcade store. Jerry and Kerin McCarthy opened Crisp in 2007 in the Elizabeth neighborhood. Crisp will be joining a lineup that includes a Quizno's, Indian, Japanese, pizza, and sandwich restaurants. Latta Arcade is popular with the uptown office crowd as a lunch destination. 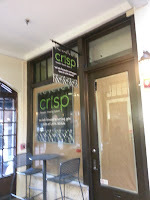 Here's a link to Crisp's Facebook page, where they post specials and daily menu options. A new Highway 55 Burgers, Shakes, & Fries is opening in north Charlotte, the adding another local store for the eastern North Carolina company. As previously reported here, Highway 55 is hoping to franchise up to 75 locations in western North Carolina over the coming decade. Another local Highway 55 location opened recently in the University Pointe shopping center (details here). The new store opening is on Davis Lake Parkway, and will open Dec. 27. 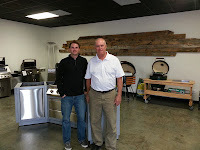 Father and son team Greg Hinson, 55, and his 27-year-old son Brad, 27, are opening the franchised store, their first. Their goal is to open six more stores in north Charlotte, Huntersville, and Mooresville over the next several years. Greg Hinson previously worked as a mechanic for 30 years, and Brad had been a network engineer. 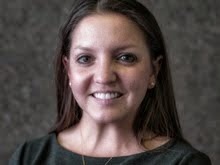 "When my dad and I discovered Hwy 55, we knew that it was a company we wanted to be involved in. Highway 55 has the family feel and dedication to serving their community we were looking for," said Brad Hinson, in an email. Highway 55 is also opening a new location soon in Gastonia's Franklin Square, though no exact date has been set. The chain, headquartered in Mount Olive, was formerly called Andy's Burgers. In an effort to help cut down on drunk driving, the uptown Epicentre complex is offering vouchers for cab rides to patrons who consume alcohol. The $10 vouchers are being offered in conjunction with the Mecklenburg County ABC Board and is funded from the sales of distilled spirits in the county. The vouchers are available at the valet stand to adults over the age of 21, and can be used with City Cab, Crown Cab, or Yellow Cab. So if you're drinking at Blackfinn, Whiskey River, Howl at the Moon, or any of the many Epicentre watering holes, please be responsible and take a cab (or a pedicab, or the light rail). With $10 off, the choice is even easier. Walmart Neighborhood Market opening on Independence Blvd. A Walmart Neighborhood Market is opening next year on Independence Boulevard, the first store of its kind in Charlotte. As previously reported on this blog, the store will be in a former Best Buy location at 7421 E. Independence Boulevard, in the Independence Square shopping center. That shopping center also has a Super Global Mart international food store. The store will be hiring about 85 people to work full and part-time. They'll start working in January as the store prepares for its opening. There are some 200 Wal-Mart Neighborhood Markets nationwide. They're about the same size as traditional supermarkets, and carry similar lines of goods. This is the state's second Neighborhood Market. 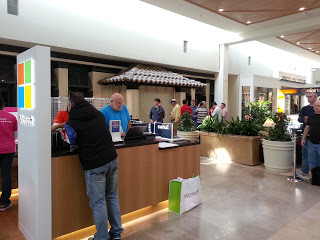 The first opened in Cary in October. Here's a local news story from Cary with pictures of the store, to give you a better idea what to expect (Their verdict: "Walmart Neighborhood Market looks like a lot like a slightly less fancy Harris Teeter."). “We are excited to add this Walmart Neighborhood Market to Charlotte and bring good jobs with career opportunities to the area,” said store manager David Thomas, in a statement. He's been with the company for three years, and started his career in Shelby. The new Neighborhood Market will be a challenge to other supermarkets, of course, and also to other smaller, discount food retailers, such as Family Dollar. It represents the fourth new grocery option in the region announced or opened this year, along with Whole Foods, 201central, and Publix. Building permits show Walmart is spending more than $3.5 million to upgrade some 50,000 square feet of the building. Here's Walmart's description of the Neighborhood Markets: "Walmart Neighborhood Markets were designed in 1998 as a smaller-footprint option for communities in need of a pharmacy, affordable groceries and merchandise. There are now about 200 Neighborhood Markets in the U.S. Each one is approximately 38,000 square feet and employs about 95 associates. Walmart Neighborhood Markets offer fresh produce, meat and dairy products, bakery and deli items, household supplies, health and beauty aids and a pharmacy." Two relatively new food options on East Boulevard are closing this weekend, as Freshberry Frozen Yogurt and Smallcakes Cupcakery throw in the towel. The neon-accented stores opened in the former Blockbuster location at Kenilworth Avenue and East Blvd. just this summer. I wrote about them when they were first announced in February, which you can read about here. Sunday will be the last day of business for Freshberry and Smallcakes. There's no word yet on what will be replacing the stores. Owner Nick Smith was out of town Thursday, said a woman at the store. Smith, a longtime Charlotte franchise owner who opened the city's first Jersey Mike's sub shop and Moe's Southwest Grill restaurants, will be featured in an upcoming Observer store on franchising. He said that the Freshberry/Smallcakes concept is closing due to slow traffic. That certainly seemed to be the case Wednesday night, when I went by the restaurant on my way home from work. A man in a cowboy hat was spinning LED lights to lure people into the nearly-empty parking lot. 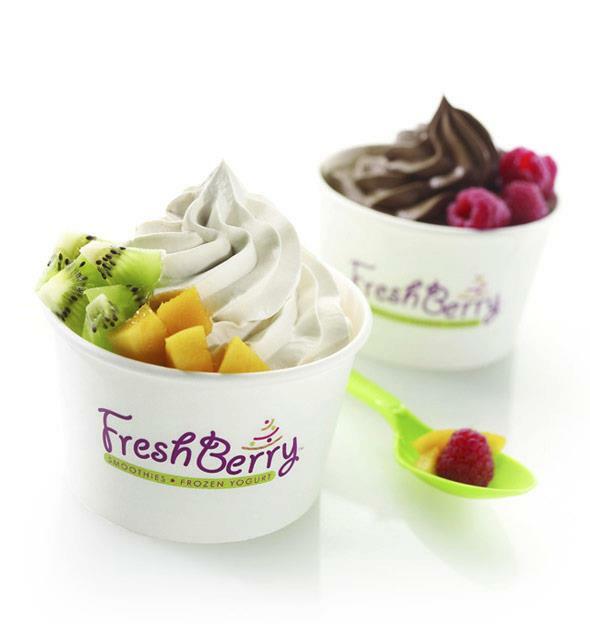 Freshberry was entering an already crowded fro-yo marketplace, with a slew of businesses including Yoforia, Tasty Yo, Pinkberry, TCBY, Cherry Berry, and the Frozen Isle. And directly across the street from Freshberry, on the opposite corner in the Kenilworth Commons shopping center, is Menchie's, a fro-yo franchise that opened last year. A Jersey Mike's that occupies the other half of the former Blockbuster building will remain open. A new restaurant, Tony Sacco's Coal Oven Pizza, is set to open next year at mega-mall Concord Mills. The store is in addition to three more locations set to open in Charlotte next year, although details on the other Tony Sacco's restaurants were not immediately available. According to a news release from Concord Mills, the new restaurant is 4,500 square feet, and will be opening near Entry 1, across from Sun & Ski Sports. The opening date is currently set for spring 2013. The restaurants have anthracite coal-burning ovens that operate at 1,000 degrees. In case you were wondering whether they are actually burning coal to cook the food, the FAQ answers that: "Yes we are! We only burn pure anthracite coal from Pennsylvania. 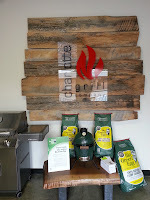 It creates twice the energy per pound as wood, and burns cleaner." Also noted: Shopping center owner and operator Brixmor Property Group said it has signed leases with two new Sleepy's mattress stores in the Charlotte area. A 10,000-square-foot Sleepy's will be located in the Carolina Pavilion shopping center on South Boulevard, and a 6,150-square-foot Sleepy's will be in the Franklin Square shopping center in Gastonia. Howard Levine, CEO of Matthews-based Family Dollar, was set to appear on Tuesday's edition of "Nightline," talking about the growth of dollar stores and defending the practice of importing cheap goods from overseas. The "Nightline" story is about the rapid growth of dollar store chains, which have become a $56 billion industry. The major chains, including Dollar General and Dollar Tree, have opened thousands of new stores over the past years. During the segment, Levine told the interviewer he doesn't mind when he - or his 7,550 stores - are called cheap. "If somebody told me I was cheap, I would take that as a compliment," Levine said. "That means we are looking for value. That means we don't overpay for stuff." He also defended the fact that about a third of the goods the company sells are made overseas, much of it in China, as a necessity. 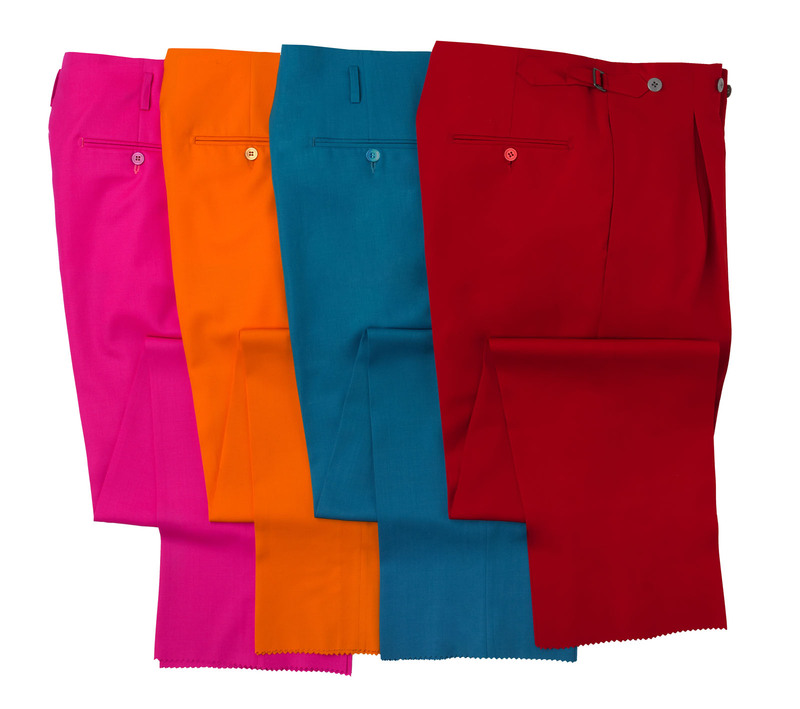 "Unfortunately, a lot of manufacturing has gone overseas," Levine said. "They have a cheap way of doing it and consumers accept it. There is no backlash from that so you got to go where you get the value and you got to go where you have the workmanship and the factories to do that." So, did you see the video? What did you think? (Editor's note: The show featuring Levine was bumped for extra coverage of a mall shooting in Oregon that happened earlier in the day). Amelie's, the ever-popular French bakery in NoDa, has started an online store, where people can purchase edible goods, home decor, and gifts. The Amelie's Emporium offers goods for sale either for delivery on in-person pickup. 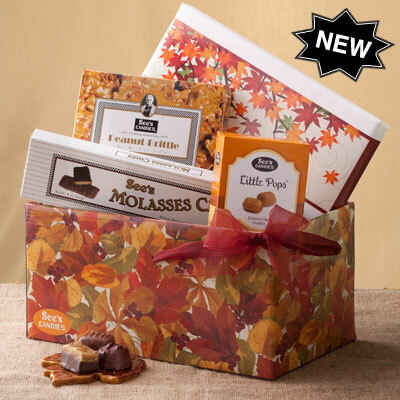 The edibles section includes a hot cocoa set, do-it-yourself twice-baked croissants, and salted caramel brownie balls. In the trinkets and gifts sections, you'll find things such as t-shirts and a gourmet coffee set, and seasonal section includes a gift card ornament. The site is still under construction, with some sections, such as "About Us," still rather sparse. According to the site, all confirmed orders will be shipped within seven business days, although orders placed after 5 p.m. on Thursday won't be confirmed until Monday. Local website Restaurant Traffic is reporting that Uncle Maddio's Pizza Joint will soon open a location in uptown's Overstreet Mall. This will be the company's first Charlotte location. Uncle Maddio's, a fast-casual pizza place where most of the pies are under $10, is on somewhat of a growth spurt, with 75 stores currently under development. Their signature pizzas include offerings such as Cobb Salad, BBQ Chicken, The Greek, Jamaican Jerk and Portobello pesto. Most of Uncle Maddio's existing locations are in the Atlanta area. 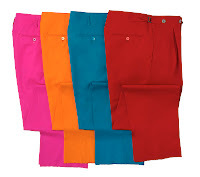 The company is also planning to open stores soon in Jacksonville, Savannah and Columbia. Burger 21, a new fast-casual burger company, will open its first Charlotte store in Ballantyne Village. The company is owned by Front Burner Brands, the same company that runs the Melting Pot restaurants. In Charlotte, Burger 21 will be developed by Todd Dennis and Brian Neel, who operate two Melting Pot franchises in the area. "We also know Charlotte inside and out and believe people will be really excited about this unique concept with its incredibly diverse menu of hand-crafted burgers and more," said Neel, in a statement. There's no opening date set yet. As previously reported, Burger 21 has been looking at Charlotte as one of its expansion markets as the company moves beyond Florida. Burger 21 also signed deals to open four restaurants in the Washington, D.C. suburbs, the company said. The restaurant features a chef-inspired menu, as the company puts it, with 21 burgers. Half are beef, half are other things, such as tuna and turkey, and one a month rotates to a different special. The Ballantyne Village shopping center has been doing better since the depths of the recession, with higher occupancy rates. But the property was still turned over to its lender recently, to cancel a $50 million loan the owner couldn't pay off. Burger 21 said it's still seeking franchisees in North Carolina. If you'd like to learn more, click here. You might not have seen it at the end of my colleague Helen Schwab's excellent article about Charlotte's thriving craft beer scene, so I thought I'd highlight some of the news: A new craft beer store, the Carolina Beer Temple, is opening soon in Matthews. 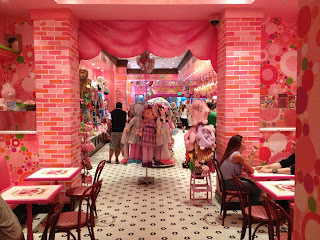 The store is planned to open early next year. There will be 8 to 16 taps, the owners say, and half of those will be N.C. craft beers. Owners Rob and Megan Jacik don't know exactly how many different bottles they'll carry, but say they plan to focus on local beers, especially those that are hard to find in Charlotte. 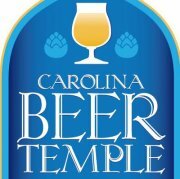 Carolina Beer Temple will be in downtown Matthews, in the shopping center on Matthews Station Street. There was an interesting story in Forbes on Tuesday about Matthews-based Family Dollar's increasing reliance on so-called "sin items," such as cigarettes, to sustain growth in the face of fiercer competition. Since the recession, Family Dollar and its competitors, such as Dollar General and Dollar Tree, have enjoyed a major period of growth. Their sales have soared to record levels, they've added thousands of stores, and they're preparing to open thousands more over the coming years. The reasons behind the dollar store boom are myriad. There are more people in poverty or struggling, and there are more people willing to "trade down" the stores they shop at to save money. The dollar stores have added better-quality items, and thousands of different items such as food, to drive repeat trips. Larger discount competitors, such as Wal-Mart, stumbled, and with more locations, dollar stores benefited from being closer to home in an era of rising gas prices. 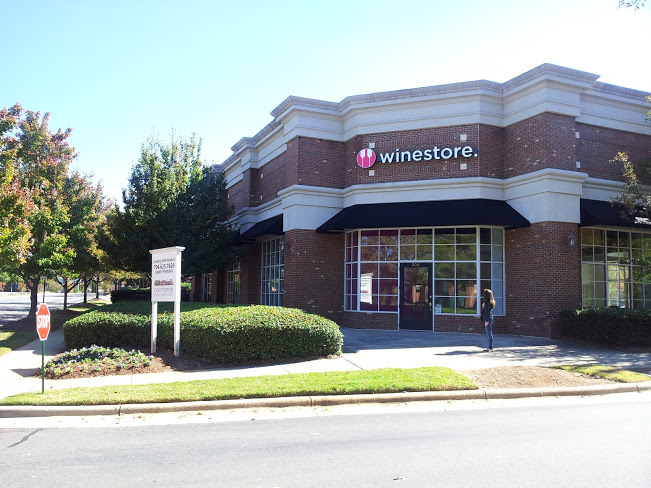 Charlotte-based Winestore is opening its third shop this week, in Cornelius. The store plans to open its doors Thursday, Nov. 1. The company opened its first retail location in 2006, with its SouthPark store. 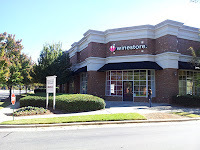 In 2009, Winestore expanded, opening a second location in the Blakeney shopping center, on Rea Road. 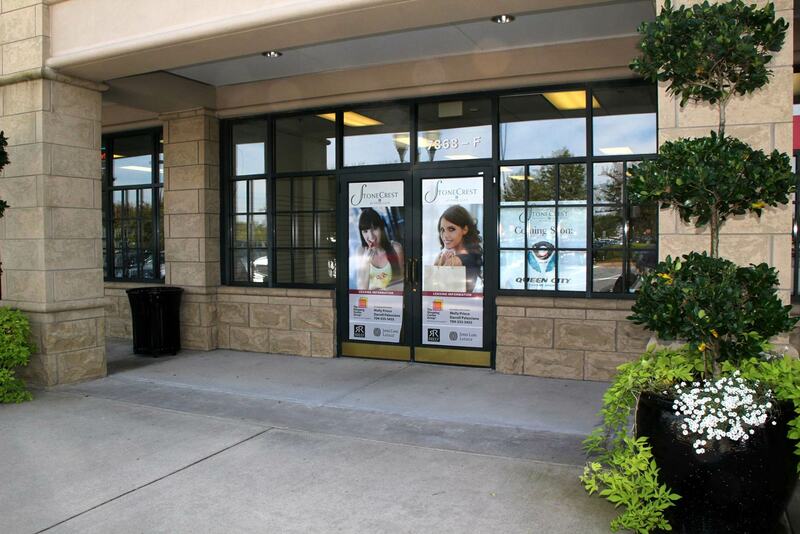 The new store is at the corner of Jetton Road and West Catawba Avenue. "We are very excited to be entering this new market and believe we have the most unique wine retail concept in the Southeast," said Matt Snyder, the company's vice president, via email. Here's a bit about the thought process behind the store, which positions itself as an easy, non-intimidating place to buy wine: "Usually, it takes quite a bit of knowledge and experience to wade through the choices – and one is always fearful of making the wrong one. 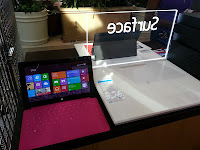 We wanted to eliminate that fear and extend the favorable experience on the retail side. We have built our brand value on providing a positive experience for our customers above all else. Winestore is the result of that concept – a contemporary solution to the wine purchasing experience." Sloan's, an ice cream store/toy shop/candy wonderland hybrid based in South Florida, is looking for franchisees to open a Charlotte location. 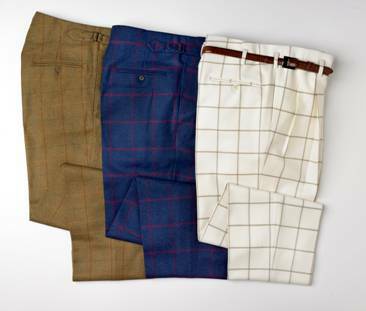 The company, which currently has four south Florida locations, hopes to open 200 stores in the coming years. 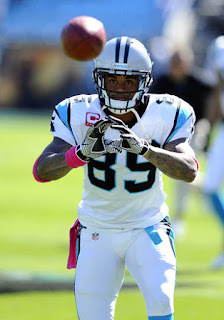 They're focusing on the Carolinas, Florida, California, Georgia, New York and New England to start. 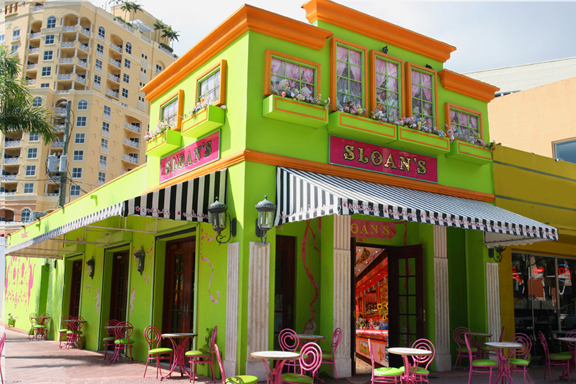 Sloan's hopes to have its first franchised locations up and running by early 2013. Here's some information about the company, which was founded by chef Sloan Kamenstein 14 years ago: "Sloan himself has designed the complete menu of creative ice cream, candy and sweet treats. These include dozens of innovative flavors such as Tracy’s Scrumptious Pretzel (caramel ice cream with milk chocolate covered salty pretzels and peanut butter swirls), Cookie Monster (made with homemade chocolate chip cookies) and Mom’s Apple Pie (apple pie ice cream with pieces of homemade apple pie). Plus, a collection of homemade cookies, brownies, shakes, smoothies, ice cream sodas, sundaes and all varieties of candies fill out the awe-inspiring options for Sloan’s guests." If you're interested in bringing some Sloan's franchises to Charlotte, check out some more information here. And let us know how the ice cream tastes.